You are here: Home / Printable / Free Harry Potter Popcorn Box Printables – Two Sizes! 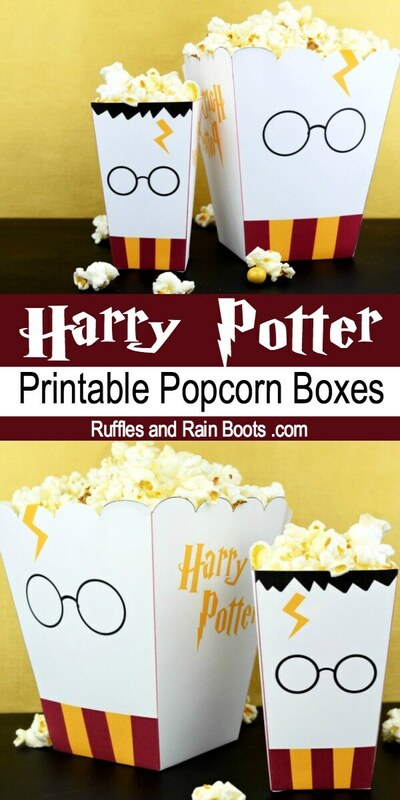 Free Harry Potter Popcorn Box Printables – Two Sizes! 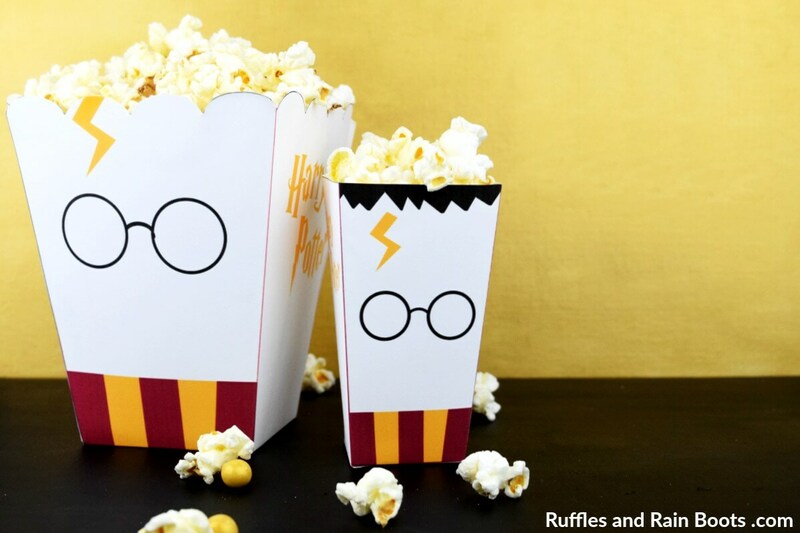 This adorable Harry Potter popcorn box set printable is chockful of Potter goodness. Popcorn boxes come in two sizes and are easy to put together. Oh yes – we love our family movie nights here on Ruffles and Rain Boots. And now that my daughter is older, we get to watch one of my favorite series of all time: Harry Potter! I get a bit excited about sharing my favorite things with my daughter. And my husband – he hadn’t even seen them OR read the books. How does that happen? 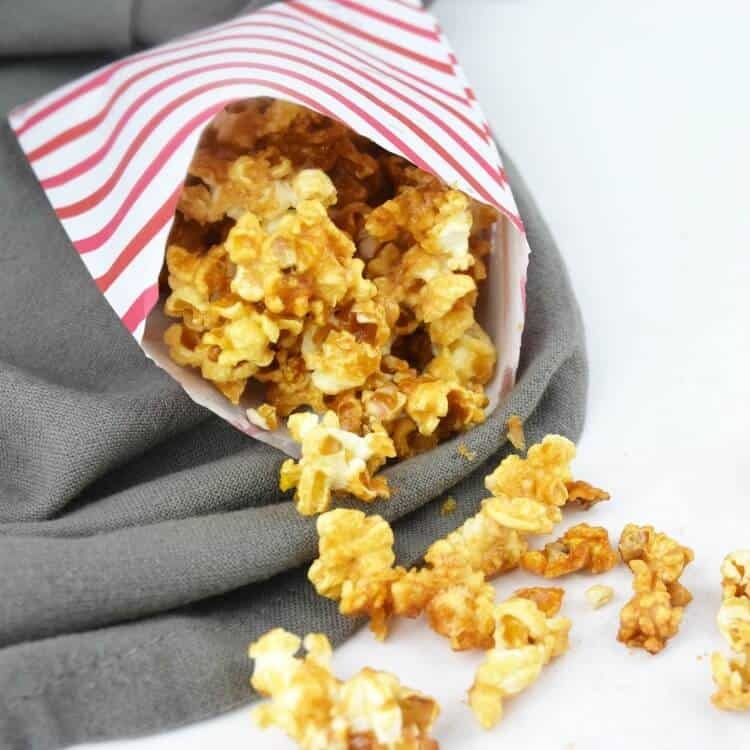 You can see all of our Harry Potter food and crafts here, but recently, I published the first share in our Potter movie night, healthy caramel corn. Can caramel popcorn really be healthy? Check it out and you’ll see the changes I made to remove some of the processed junk in most recipes. I don’t want to be that friend who forgets to call you in for.ev.er. Be sure to sign up to be notified when we share more amazing printables and free movie night creatives. Sign up to receive the once-weekly email from Ruffles and Rain Boots. 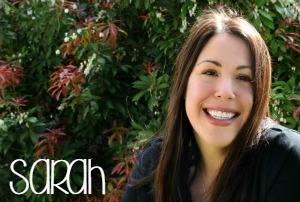 If you don’t want to make the commitment (I get it), be sure to follow me on Pinterest. I share some of the best the Internet has to offer. Follow Ruffles and Rain Boots on Pinterest. And now, let’s talk about this adorable Harry Potter popcorn box printable set! Step 1: Print out the template you need on white cardstock. I have included both the miniature popcorn box and the large popcorn box in this set. Step 2: Cut out along the gray lines. Fold along the red lines. Step 3: Glue or tape where indicated and your Harry Potter popcorn box is ready! Note: if you’re making dinner (or want 5-minutes to take a breath), give the kids the popcorn boxes in the flat form and ask them to decorate. It’s fun when they add googly eyes to the glasses or draw their own fantastic beasts on the white panels. 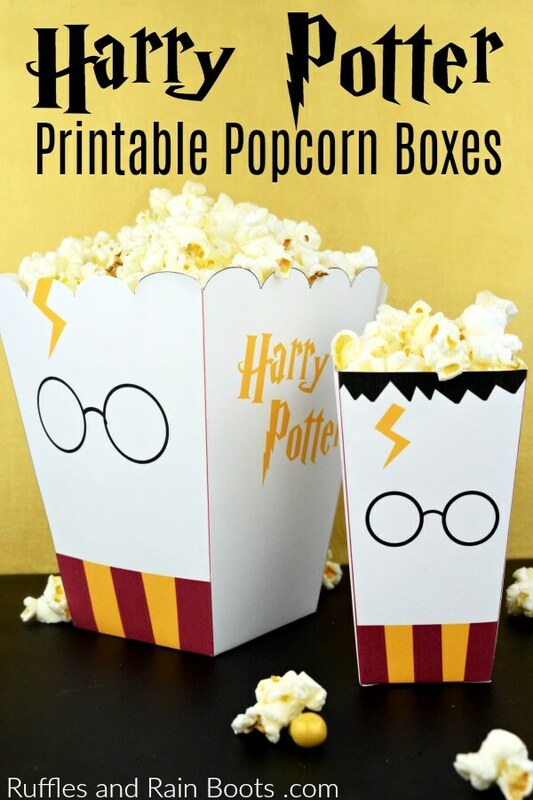 Get the Printable Harry Potter Popcorn Box! In order to get all of the files, you’ll need to be part of the in-crowd who has access to the full Ruffles and Rain Boots free library. Get access now by signing up to our once-weekly email list. Sign up here to get access to the Library and you’ll get a password after confirmation. Please check your spam or promotions tab (in gMail) if you don’t see an email from me. If you already have the password (it’s at the bottom of every email I send), you can access all the files in the Exclusive Library here.